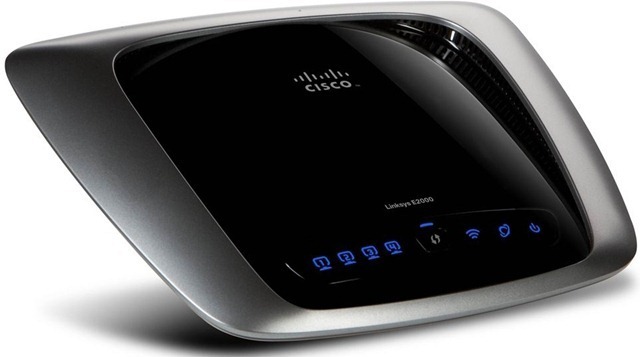 Cisco launched Linkys E-series dual-band wireless-N router in India. Linksys E4200 is equipped with 3 x 3 antenna technology, which can deliver up to 450Mbps on the 5GHz radio band, SpeedBoost amplifiers, which can provide additional range and MIMO technology that uses walls to amplify signal. It comes with Cisco Connect software and also features a USB port, can deliver maximum performance up to 300 Mbps (2.4) and up to 450 Mbps (5.0 GHz), simultaneous dual band (2.4 and 5.0 GHz), 4 Gigabit Ethernet LAN ports, 1 Gigabit Ethernet WAN port, six antennas, WPA and WPA2 and SPI Firewall. It will also support IPV6 in spring 2011 through a free firmware upgrade. E4200 is now available in over 2000 stores across India for Rs 9,000. 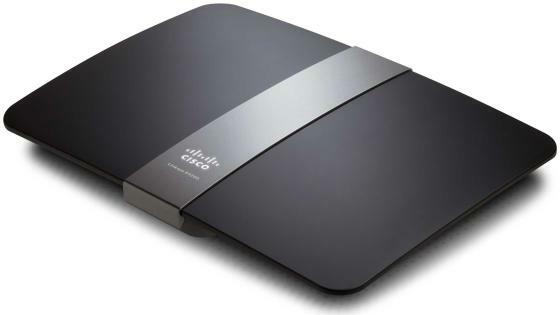 Tags:Linksys E4200 Router, Linksys E4200 Router price, Linksys E4200 Router availability, Linksys E4200 Router features, Linksys E4200 Router specifications, Linksys E4200 Router review, wireless router. The Wildfire S features a 3.2 inch HVGA touchscreen display, HTC Sense UI, HSDPA, Wi-Fi 802.11 b/g/n, GPS, Bluetooth 3.0, 3.5mm headset jack, 5MP autofocus camera, 3G/HSDPA High Speed Connectivity, 512MB of RAM/512MB of ROM, up to 32GB Micro SD Card slot and a 600MHz processor. Wildfire S comes with Android 2.3 Gingerbread. It is already released in UK, now going to release in canada.Clove UK is bringing this SIM Free device in UK and is offering it for £238.80 (approx. $390 USD) and it’s currently available in black version only, and they will launch the silver version sometime next week. Tags: HTC Wildfire S,HTC Wildfire S price, HTC Wildfire S specifications, HTC Wildfire S availability, HTC Wildfire S review, HTC Wildfire S features, Android 2.3 Gingerbread. 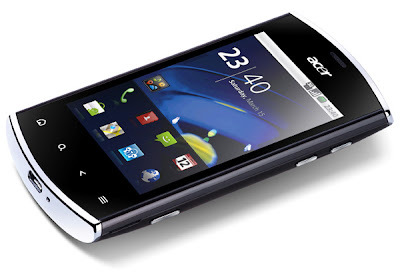 Acer Liquid Mini runs on Android 2.2 Froyo Operating System, has a 3.2 inch HVGA touchscreen display with 480 x 320 pixels resolution and is powered by 600 MHz ARM 11 processor and Adreno 200 GPU.The smartphone is equipped with a 5 megapixel camera with fixed focus capable of recording 480p video. Other specs include Wi-Fi, Bluetooth, stereo FM radio and DLNA connectivity. This 3G enabled handset also has an internal memory of 512 MB and comes with a 32 GB micro SD support. Acer bundles a 2 GB memory card along with the set. The handset will be available in a choice of five different colours: silver (jet silver), blue (royal blue), black (piano black), pink (light pink) and green (lime green).The smartphone offer easy navigation with stylish look and interface. It is available at price Rs. 11,990. 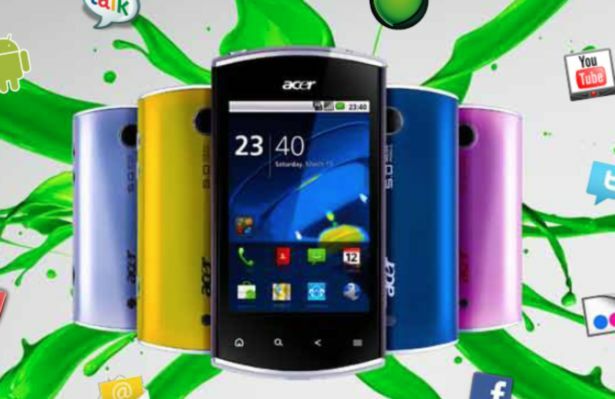 Tags:Acer Liquid Mini,Android 2.2 Froyo Operating System,smartphone,Acer Liquid Mini features,Acer Liquid Mini price,Acer Liquid Mini specifications,Acer Liquid Mini review. 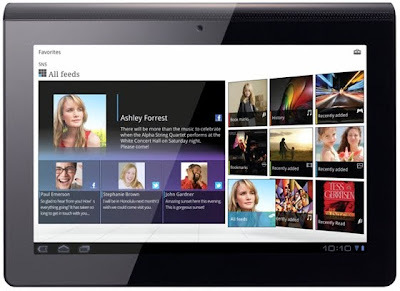 The Archos Arnova 8 is a budget tablet.The Archos Arnova 8 tablet runs on Google Android 2.1 OS Eclair and packs a 8-inch resistive touchscreen TFT LCD display which maintain 800 x 600 pixel, Wi-Fi 802.11 b/gand also also support for 720p HD video playback.It is is equipped with USB 2.0 port, microSD card slot, speakers, microphone, and a Lithium Polymer battery for up to 5.5 hours of video playback, up to 25 hours in music playback. 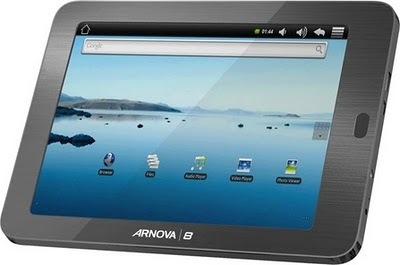 Dimensions of Archos Arnova 8 are 205 x 153 x 12 mm and weight 350 grams and has a price tag of just $159.99. Tags:Archos Arnova 8 Tablet, Archos Arnova 8 Tablet features,Archos Arnova 8 Tablet price,Archos Arnova 8 Tablet specifications,Archos Arnova 8 Tablet review. 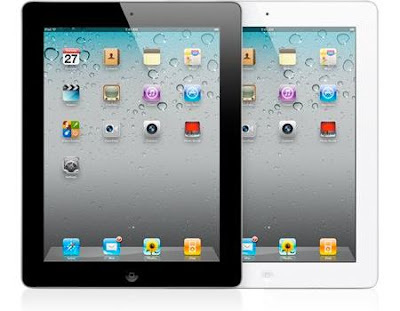 After their lauch in US (one month before) apple had come to India wither their new ipad the Ipad2.Indian consumers will be able to buy iPad2 from April 29. The cheapest model with 16GB storage and without 3G has been priced at Rs 29,500. The top model with 64GB storage and 3G will be available for Rs 46,900. 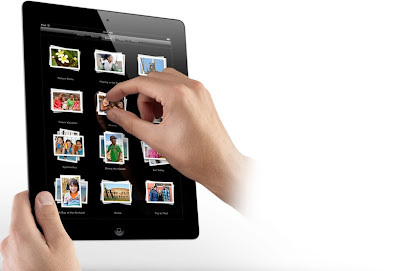 The iPad 2 is thinner and lighter than its predecessor.Ipad 2 has a 9.7-inch (diagonal) LED-backlit glossy widescreen Multi-Touch display with IPS technology which has 1024-by-768-pixel resolution. The screen comes with a Fingerprint-resistant oleophobic coating. 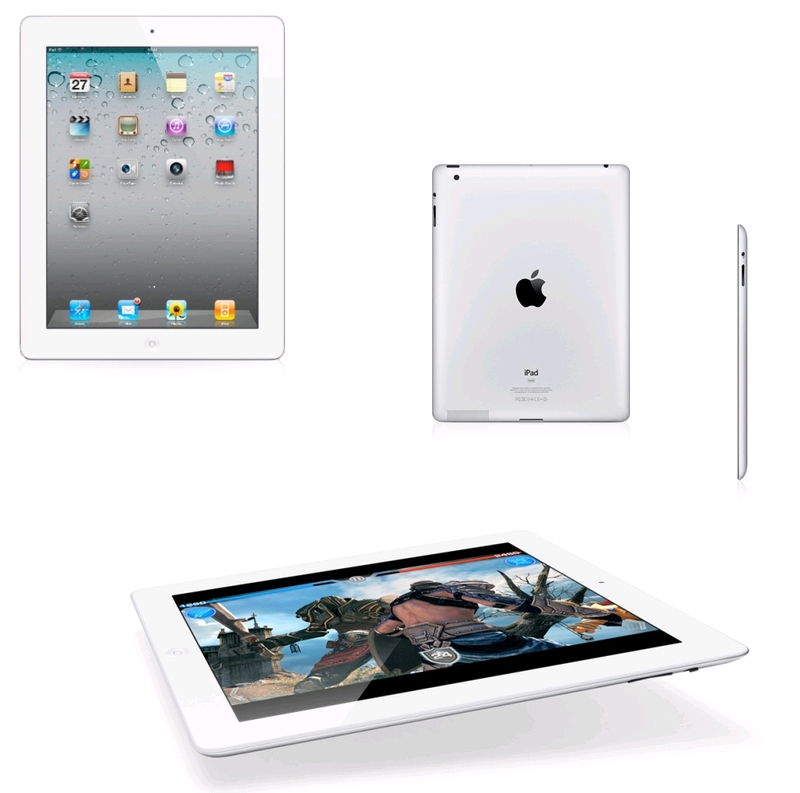 It is powered with a 1GHz dual-core Apple A5 processor wich has low-power system-on-a-chip. 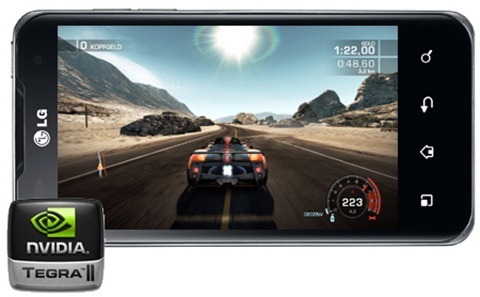 The rear camera is capable of 720p HD video with 5x digital zoom. The front-facing camera, for video conferencing, is VGA. It has Support for display of multiple languages and characters simultaneously. The connectivity options include Wi-F 802.11 a/b/g/n, Bluetooth 2.1 +EDR technology, 3G. It has 10 hours of battery life. The following are the prices of all the models. They include VAT and are M.R.P. Tags:Apple iPad 2, Apple iPad 2 features,Apple iPad 2 price,Apple iPad 2 specifications,Apple iPad 2 review, Apple iPad 2 india. 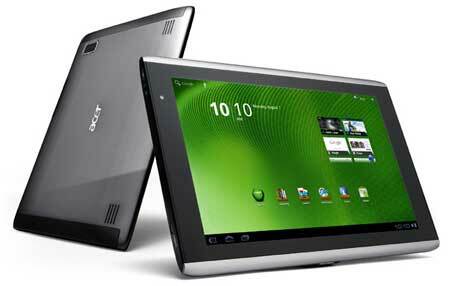 ACER Iconia Tab A500 features, pricing and specifications. The Iconia Tab A500 features a 10.1-inch LCD display with 1280 x 800 resolution.It has a 5 megapixel rear facing camera with LED flash and auto-focus and 2-megapixel HD front facing camera The ACER Iconia Tab A500 runs on Android 3.0 Honeycomb tablet and is powered by an an Tegra 250 Dual cortex A9 1GHz processor. 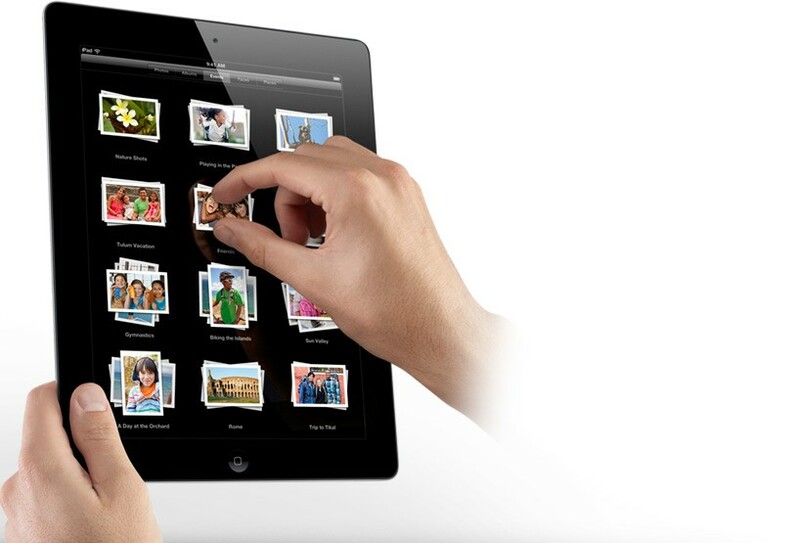 It is equipped with 1GB of RAM, 16GB of memory and can be expandable upto 64GB through SDCard slot. Other features includes A-GPS, Bluetooth 2.1 + EDR and a 3260 mAh Lithium Ion battery that's sealed inside, 802.11 b/g/n WiFi and optional 3G.It has a removable panel on top for the SIM and the SDcards.The A500 is available now for $449 at Best Buy and other retailers. 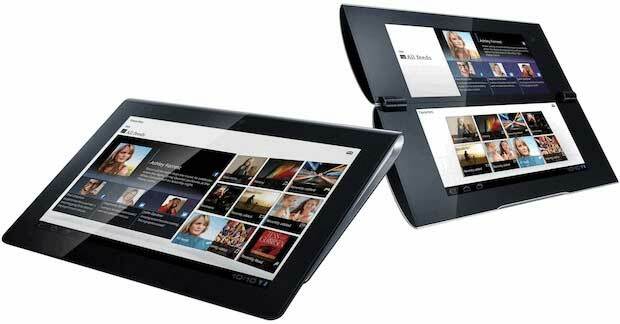 Tags:ACER Iconia Tab A500, ACER Iconia Tab A500 features,ACER Iconia Tab A500 price,ACER Iconia Tab A500 specifications,ACER Iconia Tab A500 review. 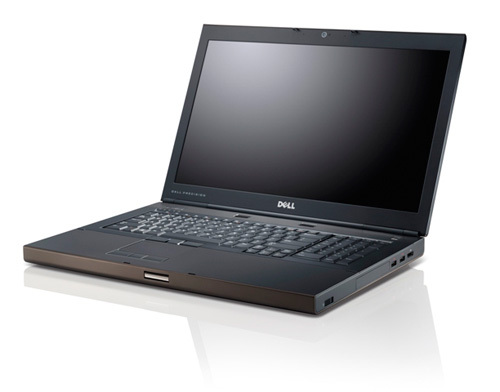 Dell Precision M4600 and M6600 features and specifications. The Dell 15.6-inch M4600 and the 17-inch M6600 can be configured from an Intel Core i5 and i7 (dual-core) up to a Core i7 Quad Extreme 2920XM and 32GB of RAM. The smaller, 6.3-pound M4600 comes standard with a 1GB AMD FirePro M5950, an NVIDIA Quadro 1000M or an NVIDIA Quadro 2000M with 2GB. 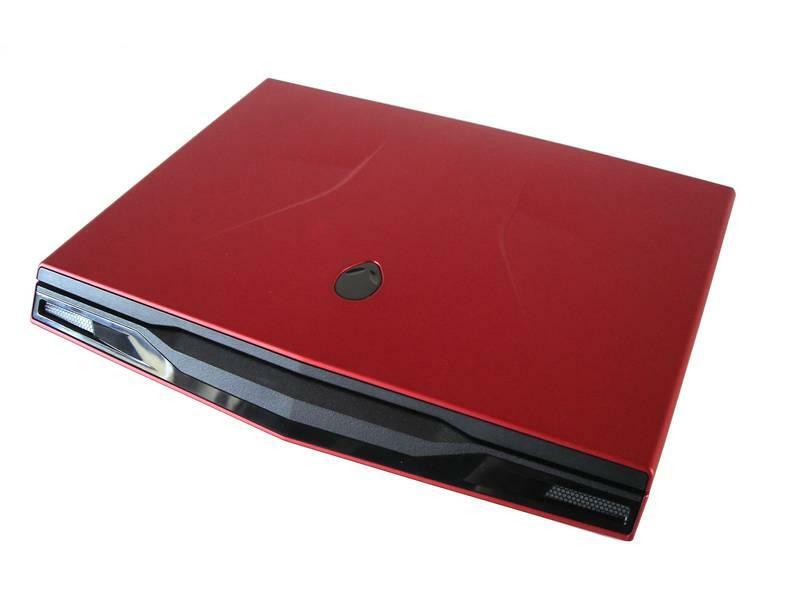 The 7.5-pound M6600 starts with a 2GB FirePro M8900 or an NVIDIA Quadro 3000M, 4000M or 4GB 5010M GPU. Both machines also come packing two USB 3.0 ports, a pair of USB 2.0 connectors, an eSATA jack, and an IEEE 1394 port, it have room for all the external drives, cameras, scientific instruments, and cat-shaped mouse. Currently there is no info about the prices or release date. 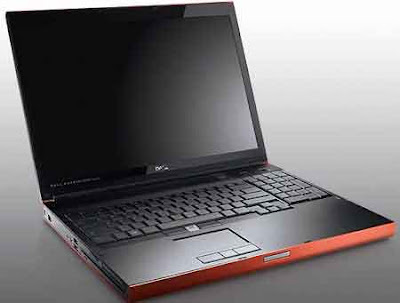 Tags:Dell Precision M4600 and M6600 features, Dell Precision M4600 and M6600 specifications, Dell Precision M4600 and M6600 review. Lenovo ThinkPad tablet will run on Google Android 3.0 Honeycomb OS and have optional pen input as well as a portfolio case with a built-in keyboard, allowing you to use the tablet like a laptop. The ThinkPad tablet will have a 1 GHz NVIDIA Tegra 2 dual core processor and a 10.1 inch 1280 x 800 pixel IPS display. It will have front and rear cameras, and 16GB to 64GB of storage. 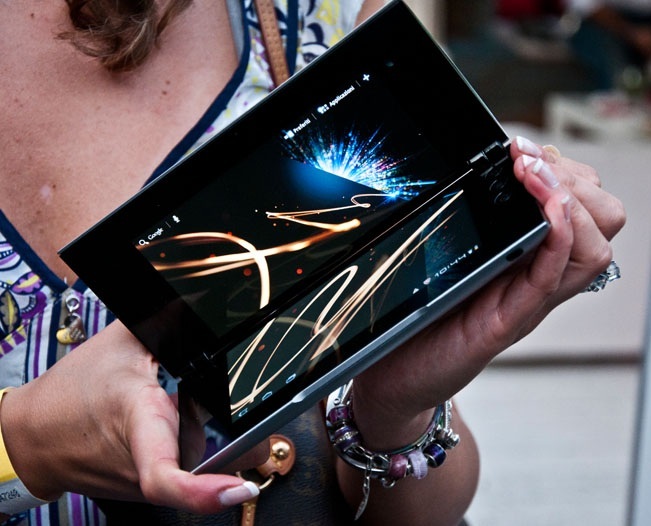 The tablet will have a capacitive touch panel & also active digitizer for pen input. IT measures 0.55 inches thick and weighs 1.6 pounds.It will be available from July or August with a price tag around $499. 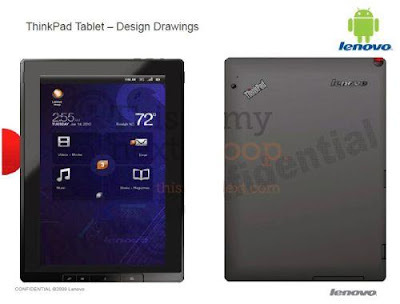 Tags:Lenovo ThinkPad tablet,Google Android 3.0 Honeycomb OS, Lenovo ThinkPad tablet features,Lenovo ThinkPad tablet price,Lenovo ThinkPad tablet specifications,Lenovo ThinkPad tablet review. BlackBerry Style 9670 CDMA smartphone features, pricing and specifications. 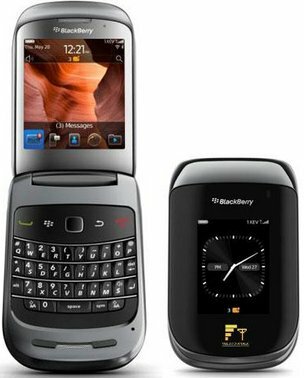 BlackBerry comes with a CDMA smartphone called BlackBerry Style 9670 in India. 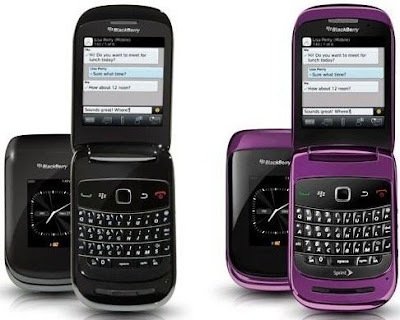 This smartphone runs on latest BlackBerry 6 operating system.It has a flip design and has a full-Qwerty keyboard.The BlackBerry Style has two displays, a 240x320 resolution 2-inch (diagonal) external screen for quick viewing of notifications and messages along with a 2.7-inch (diagonal) internal screen with 360x400 pixel resolution.It has an optical trackpad for navigation. 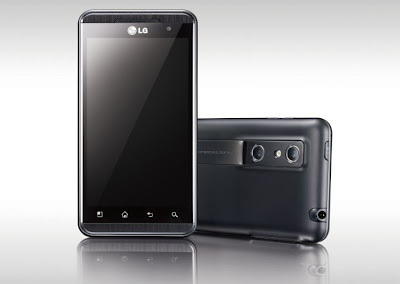 Other features includes a 5MP camera with flash and support for video recording, built-in GPS for location-based apps and geo-tagging, WiFi, and an expandable memory slot for up to 32GB of additional storage.The phone supports 3G CDMA network(currently facility is not available in India). It is equipped wiyh applications like YouTube , BBM, Facebook , Twitter and MySpace. Also, the BlackBerry Style has enhanced multimedia capabilities. It also features a new WebKit-based browser that renders HTML web pages quickly. The phone will be available without any operator bundling, so customers are free to choose their desired network from three options that is available (Tata Indicom, MTS, and Reliance Communication CDMA). It comes with a price tag of Rs. 24,990. 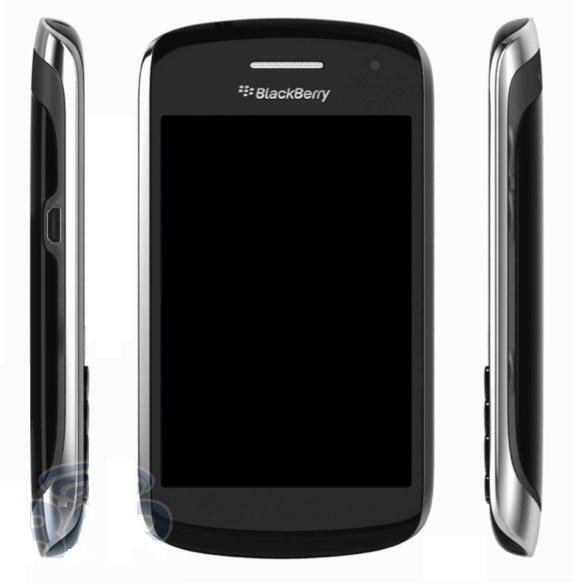 Tags:BlackBerry Style 9670,BlackBerry 6 os,smartphone,BlackBerry Style 9670 features,BlackBerry Style 9670 price,BlackBerry Style 9670 specifications,BlackBerry Style 9670 review,CDMA smartphone,Dual display phone. The Zotac Zbox AD 02 is a small device that you can use instead of the big c.p.u you have.The ZOTAC ZBOX AD02 series delivers a premium computing experience with rich high-definition video playback capabilities and outstanding 3D visuals in a compact form factor. The Zbox AD 02 powered by AMD's new Fusion E-350 APU(1.6 GHz Dual core processor), with an integrated Radeon HD 6310 graphics chip to handle the high-def output.Inside the chassis there is room for a 2.5" HDD and two DDR3 SO-DIMM modules, and the "Plus" model ships with a 250GB hard drive, 2GB of RAM. Connectivity options includes two USB 3.0 ports, four USB 2.0 ports, eSata, SD/MS/xD card reader, built in Wi-Fi, Ethernet , DVI, HDMI, optical audio out and the regular 3.5mm ports for a microphone input and headphones/audio out. A DVI to VGA adapter is bundled in the box. 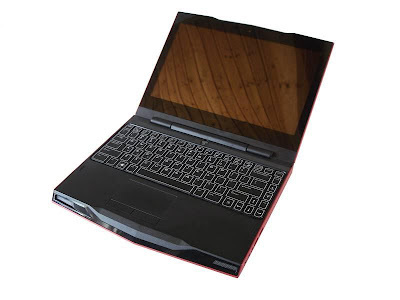 It offers a whole lot more power under the hood than a standard netbook or netbook, while keeping the overall machine size and power requirements roughly the same.It comes with an external power adapter like a laptop. 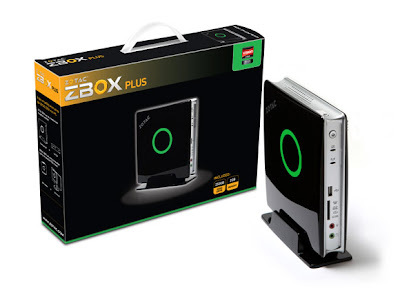 It only draws one-fourth the power of a conventional desktop PC.The Zbox is EuP (Energy using Products) Ready.It don't have genuine version of Windows( earlier they had said that it comes with Windows 7), a display, keyboard, mouse, speakers and external DVD drive. It is priced at Rs 17,999. 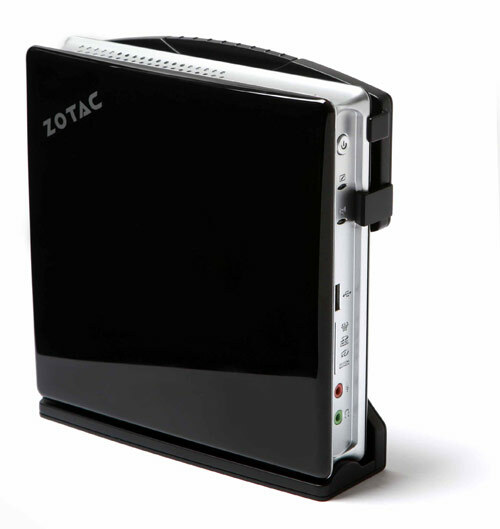 Tags:Zotac Zbox AD 02, Zotac Zbox AD 02 features,Zotac Zbox AD 02 price,Zotac Zbox AD 02 specifications,Zotac Zbox AD 02 review,ZBOX AD02 mini-PC. LG Optimus Big (LG-LU6800) has a 4.3-inch touch screen WVGA Nova Display runs on Android 2.2 Froyo powered by 1GHz dual core processor.Other striking features includes 5 MP camera with auto-focus, Front camera, 512 MB RAM, 3G, Wi-Fi, Bluetooth, GPS, 16GB memory(expandable to 32GB through Micro SD Card Slot),HDMI support and 1500 mAh battery.LG Optimus big is available in two color flavors: white and black. Currently there is no news about the pricing and availability.It will be available in south korea by next week. 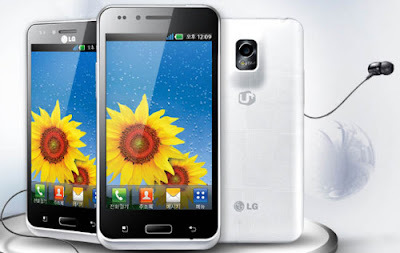 Tags:LG Optimus Big,Android 2.2 Froyo,smartphone,LG Optimus Big features,LG Optimus Big price,LG Optimus Big specifications,LG Optimus Big review,LG-LU6800, LG smartphones, smartphones. 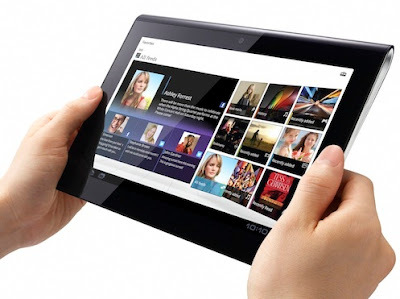 Archos 7c Tablet is a 7-inch tablet that offers a capacitive (800 x 480) display with Android 2.1Eclair runs on a powerful 1.2GHz Rockchip 2918 ARM Cortex-A8 processor. Other specs include 8GB of internal storage, a microSD card slot, two built-in speakers, and a kickstand. Archos 7c Home Tablet is shipping in the US for $220 on June arrival. 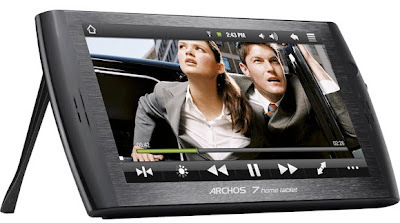 Tags:Archos 7c Tablet, Archos 7c Tablet features,Archos 7c Tablet price,Archos 7c Tablet specifications,Archos 7c Tablet review, Android 2.1Eclair. 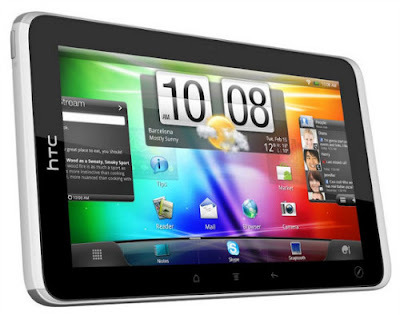 Best Buy will starts it pre order sales for the HTC Flyer tablet on Sunday, April 24th. The Flyer goes on sale in Europe on May 9th and it will be available in the US later this spring, and it will sell for $499. 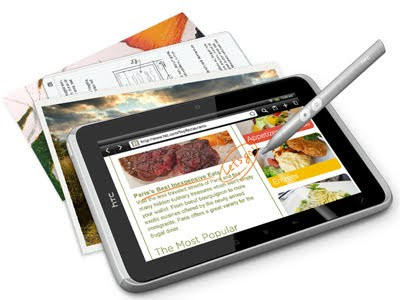 The HTC Flyer features a 7 inch, 1024 x 600 pixel capacitive touchscreen display which can also accept pressure-sensitive input from an included stylus,1GB of DDR2 RAM, 32GB of internal storage, 5 megapixel rear facing camera . The tablet has a 1.5 GHz Qualcomm Snapdragon single core processor and runs a customized version of Google Android ‘Gingerbread’ 2.3 with HTC’s Sense UI. An Android 3.0 Honeycomb update is expected later this year. Tags:HTC Flyer tablet ,HTC Tablet, pre-order sales, HTC Flyer tablet features,HTC Flyer tablet price,HTC Flyer tablet specifications,HTC Flyer tablet review, Best Buy, Android 3.0 Honeycomb,HTC’s Sense UI . Dell Streak Pro comes with a 10-inch WXGA 1280×800 resolution display, it runs on an Android 3.0 Honeycomb which is powered by NVIDIA Tegra T25 processor. It works on Stage 1.5 user interface. It comes with 2 microphones and it is Data Only device which means no phone calls.It will be a WiFi-only model, with a modular modem for mobile broadband access.The tablet will be expected to release in June, but it can be further delayed also.currently there is no news about availability and pricing. Tags:Dell Streak Pro ,Stage 1.5 UI,tablet, Dell Streak Pro features,Dell Streak Pro price,Dell Streak Pro specifications,Dell Streak Pro review. It runs on Android 2.2 Froyo OS powered with NVIDIA Tegra 2 1GHz dual-core processor. 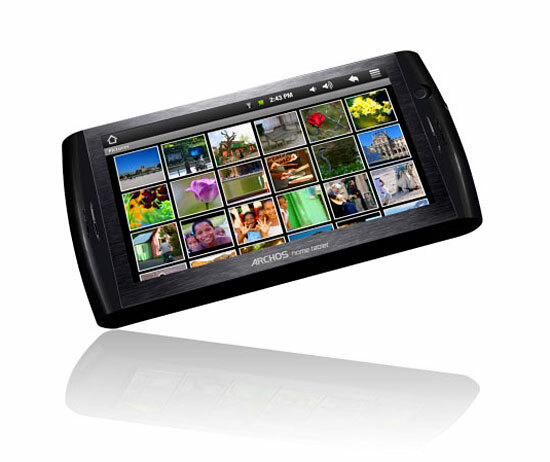 It has a 4-inch WVGA TFT LCD touchscreen with Gorilla Glass. It has a 1.3-megapixel front camera while an 8-megapixel rear camera with autofocus and an LED flash are on the back.It has 512MB of RAM and 8GB of internal storage, microSD slot can handle up to 32GB.It provides quadband GSM and Dual-band 4G UMTS/HSPA+, along with WiFi b/g/n, Bluetooth 2.1+EDR and GPS. 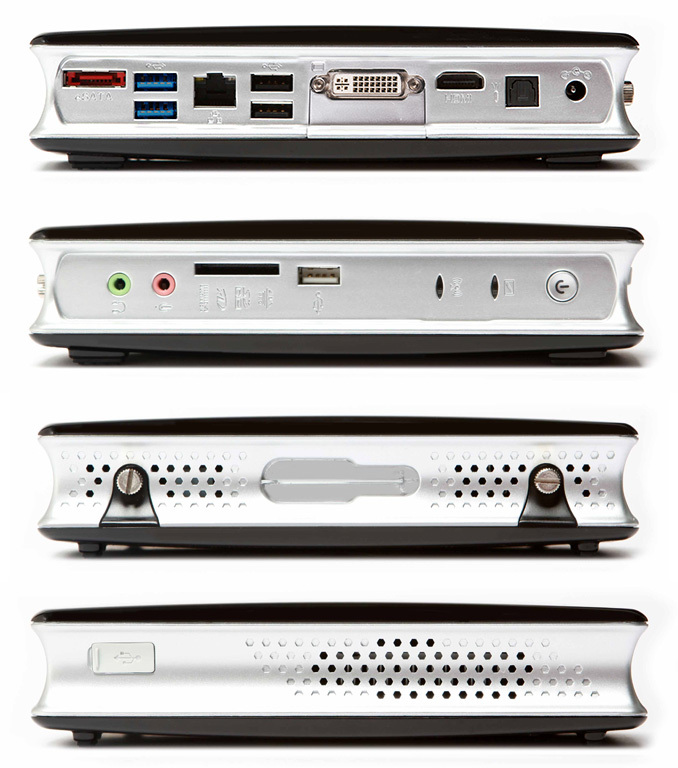 The usual arrays of sensors – accelerometer, ambient light, gyroscope, digital compass and proximity – are included.Around the edges there are volume keys, a microUSB port, a micro HDMI port and twin speaker grilles on the bottom, and a headphone jack and power/standby button on the top.Under the plastic rear cover gives you access to its 1,500 mAh battery, spring activated microSD card slot, and SIM card slot. The preloaded apps includes a demo of N.O.V.A. (Near Orbit Vanguard Alliance HD) and a full copy of Need for Speed SHIFT. There’s also NVIDIA Tegra Zone, for highlighting the latest and greatest software designed to run best with the 1GHz dual-core chip, T-Mobile TV (which, as on the G-Slate, won’t output via the HDMI port), the Zinio magazine app and Qik for two-way video calls. The T-Mobile has priced the G2x at $199.99 with a new, two-year agreement and is available in U.s. Tags:T-Mobile G2X, 4G phone, smartphone, T-Mobile G2X features,T-Mobile G2X price,T-Mobile G2X specifications,T-Mobile G2X review. The Nikon D5100 is a 16.2-megapixel D-SLR camera,with the D-Movie function it records videos at full HD (1080p) resolution at 30, 25 and 24FPS with full-time auto focus, as well as a special effects mode with which a variety of special effects can be applied to still images and movies.It has a side mounted 3-inch, 921,000 dots articulated display. It supports High Dynamic Range (HDR) function. The camera boasts of improved capability and can shoot in low-light and indoor conditions.The 3-inch vari-angle monitor opens from 0 to 180 to the side, and can be rotated up to 90 clockwise and up to 180 counter-clockwise when it is open. It helps in taking pictures from different angles. When the focus mode is set to full-time-servo AF (AF-F) and the AF-area mode to subject-tracking AF, the camera automatically maintains focus on a subject moving throughout the frame. The D5100 also offers in-camera movie editing functions that allow users to save a single frame as a still JPEG image or delete unnecessary portions from the beginning and/or end of movie files.The Special Effects mode built into the D5100 offers seven special effects, including Selective Color, Color Sketch, Miniature effect & Night Vision. The D5100 also offers multiple effects that can be applied to images and videos before shooting. 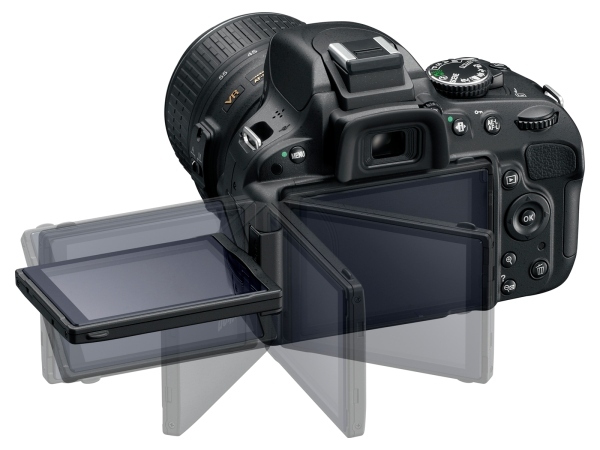 The Nikon D5100 is sold with a DSLR bag and a 4GB card as part of the standard equipment. 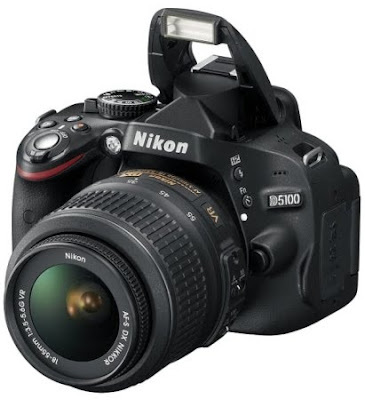 Nikon has launched the D5100 DSLR in India. It is priced at Rs. 39,950 with the AF-S DX NIKKOR 18-55mm f/3.5-5.6G VR kit lens and Rs. 34,450 without the lens. Tags:Nikon D5100 ,Nikon camera, Nikon D5100 features,Nikon D5100 price,Nikon D5100 specifications,Nikon D5100 review, 16.2-megapixel D-SLR camera. 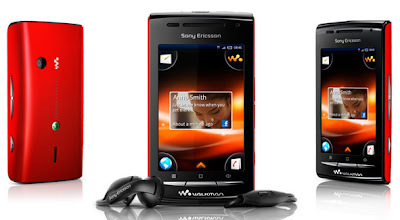 The smartphone SonyEricson W8 features a 3-inch capacitive HVGA (320x480) touchscreen display,128MB on board memory and a 600MHz processor.The Walkman brand smartphone running Google Android 2.1 Eclair with Sony Ericsson's custom Timescape UI so it should be able to run most games and applications. The W8 will have Walkman Music Player ported to Android, TrackID music recognition, and PlayNow technologies. At the back lies a 3.2 megapixel camera with Geo-tagging capability. Being 3G Network compatible, the new W8 Android phone offers 23 hours and 40 minutes worth of music listening time. The phone offers Wi-Fi, GPS and Bluetooth. Apart from that, the W8 offers Twitter and Facebook integration in the Timescape UI. Currently there is no word about the pricing and this phone will be available in Asia-Pacific markets(including India) in three color options: Azure Blue, Metallic Red, and Iconic Orange from Q2 2011. 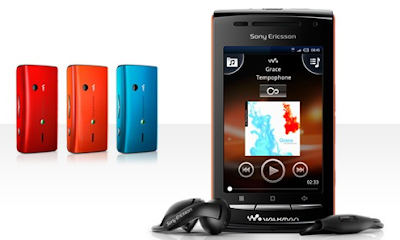 Tags:SonyEricson W8 ,Timescape UI,smartphone,SonyEricson W8 features,SonyEricson W8 price,SonyEricson W8 specifications,SonyEricson W8 review, WAlkman smartphone. The Wynncom W-253 is a dual SIM phone that has a 1.8 inches TFT color display, 1.3 MP Camera with flash, video recording.The mobile is having good multimedia service. It has a non- stop music facility. It has space of 500 entries for phonebook. The W-253 has FM Radio with recording facility, preloaded with Opera Mini Browser, mobile tracker, GPRS, PC sync, Bluetooth connectivity. The Wynncom W-253 comes with Hindi Language support, 3.5 mm audio jack and supports MicroSD and T-Flash cards. The Wynncom W-253 mobile phone is offered at an affordable price of Rs. 1895/- in India. 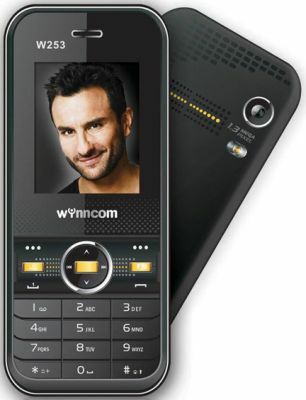 Tags:Wynncom W-253,Dual sim phone, Wynncom W-253 features,Wynncom W-253 price,Wynncom W-253 specifications,Wynncom W-253 review. 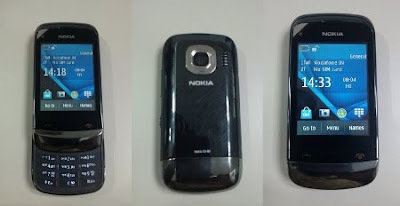 Nokia C2-06 is a Dual SIM handset with Resistive Touchscreen runs on Symbian S40 operating system.Nokia C2-06 is having 2 MP Camera(without flash) with Video Recording Capability and slide-out keyboard. 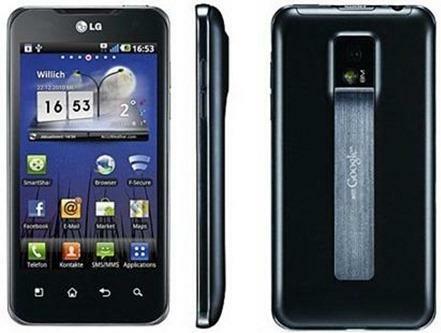 It features Bluetooth and supports both the GSM SIM Cards and have the GPRS/EDGE functionality. memory can be upgraded to 32 GB using MicroSD Card. It is added with FM Radio with RDS support.The phone has in-built social networking apps like Facebook, twitter etc. it is having MicroUSB Cable support.For music lover, the phone has good sound quality with loudness and clarity. For headphone, it is having 3.5 mm jack support. Tags:Nokia C2-06,Symbian S40 UI,smartphone,Dual sim, Nokia Dual sim , Nokia C2-06 features,Nokia C2-06 price,Nokia C2-06 specifications, Nokia C2-06 review, Nokia C2-06 features, Nokia C2-06 review, dual sim ,Nokia C2-06 pictures, Nokia C2-06 pics, Nokia C2-06 image. 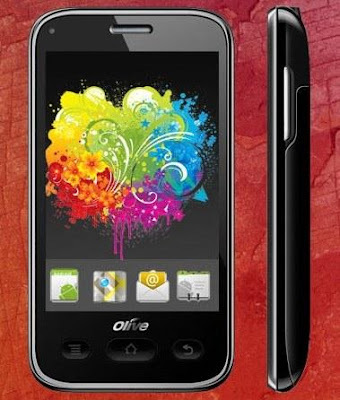 The Olive Fluid V-W1 has a 3.5-inch TFT capacitive touchscreen HVGA display (320x480) and comes with 468Mhz processor runs on Android 2.1 Eclair update UI.It has 256MB memory that can be upgradable to 32GB via a microSD card. The internal memory works as both RAM and ROM. The Olive Fluid V-W1 has 3 megapixel camera, in built GPS chip-set with AGPS capabilities, Wifi and Bluetooth 2.0 A2DP are some of its other features. It also gets a free six months subscription to Zenga TV s service - LIVE TV that will let the users view popular channels like UTV Bindass, MTV, Colors and others. The 3.5 inch touchscreen with capacitive touch input enables users to use all the benefits like pinch to zoom, multi touch and swipe of the Google's Android Eclair 2.1. Olive Fluid V-W1 for India at cost of Rs. 10,990. The Olive Fluid can be purchased from the Olive store which is offering an additional Rs 500 discount and it is also offering free shipping and transit insurance. Tags:Olive Fluid V-W1,Android 2.1 Eclair update,smartphone,Olive Fluid V-W1 features,Olive Fluid V-W1 price,Motorola Olive Fluid V-W1 specifications. The gaming specialist Alienware comes with Alienware M11x R3 which hastwo different Sandy-Bridge CPUs available for a start. The entry level model of these two is represented by the Core i5-2537M, which has a clock speed of 1.4 - 2.3 GHz, and an L3 cache of 3 MBytes. The other is the faster Core i7-2617M, which has a clock speed of 1.5 - 2.6 GHz, and an L3 cache of 4 MBytes. Our tested device is powered by the Core i7-2657M, a two core processor with 4 MBytes of L3 cache, and a clock speed of between 1.6 - 2.7 GHz. For hard drive the users can choose between 250 GB ~ 750 GB SSD, RAM between 2 GB up to a maximum of 16 GBytes,color can be choosen between red or black. It comes with Nvidia's GeForce GT 540M which is a DirectX 11 capable mid-range model. Compared to its predecessor there haven't been any changes to the case. It has weight of just about two kilograms, and a size of 286 x 233 x 33 mm, the 11 inch subnotebook can be transported easily. 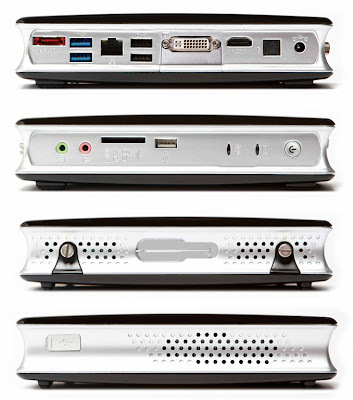 The M11x R3 only has one USB 2.0 port (left), but instead also has two modern USB 3.0 ports (right).There is a Kensington Lock, a DisplayPort, and an HDMI output on the left side towards the back, whereby the latter two support the operation of external monitors. Towards the front in contrast, are a Gigabit LAN port (previously Fast Ethernet LAN), a card reader, as well as a Firewire port. The final ports are two audio outputs and an audio input, which are located on the right side. Users have WLAN (a/b/g/n) and Bluetooth (version 3.0) available. The most important component of the included software is the so called Command Center. The clearly laid out and intuitive user interface allows the case illumination to be adjusted (AlienFX), as well as configuring the power options (AlienFusion), and the touchpad (AlienTouch).Its availability is expected in early April, but at present we have no information on prices in Europe and USA. Tags:Alienware M11x R3 ,Alienware M11x R3 features,Alienware M11x R3 specifications, gamming laptops. The HTC Sensation looks similar to the earlier ones but comes with high degree of changes when compared to hardware and software features. 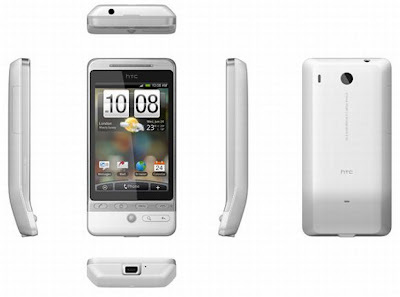 It comes with a dual-core, 1.2GHz processor (under its cover)with Qualcomm's latest MSM8260 Snapdragon chipset , the new HTC Sense 3.0 software and Android 2.3 Gingerbread. In addition, with more features than HTC’s standard Android devices, including a lock screen you can customise with previews and shortcuts the Sensation sets itself apart from the others. 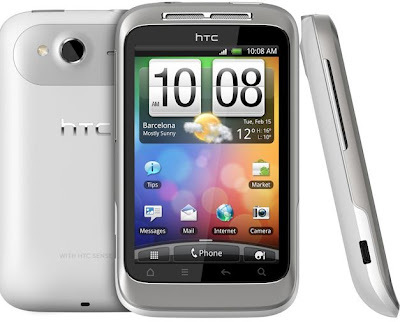 The HTC Sensation also sports a huge (slightly convex) LCD 4.3-inch screen that has a 16:9 aspect ratio.Other features including an 8-megapixel camera and a 0.3-megapixel camera on the front of the phone. Tags:HTC Sensation,HTC sense 3.0 UI,smartphone,HTC Sensation features,HTC Sensation price,Motorola HTC Sensation specifications.